He was also charged with one count of hit-and-run after knocking someone over. A man just became the first person to be charged for driving under the influence while on a motorized scooter in Los Angeles. His blood alcohol level was three times over the legal limit, according to city officials. Nicholas Kauffroath, 28, was riding a Bird electric scooter on a sidewalk in West Los Angeles when he knocked down a pedestrian and neglected to stop or find help. Authorities later took Kauffroath into custody, where they found that he was intoxicated with a blood alcohol level of 0.279, three times the legal limit. Motorized rental scooters have taken cities across the U.S. by storm, as they are an affordable, convenient means of transportation. But along with their popularity, there has been a rise in concerns. The Bird User Rental agreement states that users must not operate a vehicle while under the influence of any alcohol, drugs, medication, or other substance that may impair the user’s ability to operate the vehicle safely. 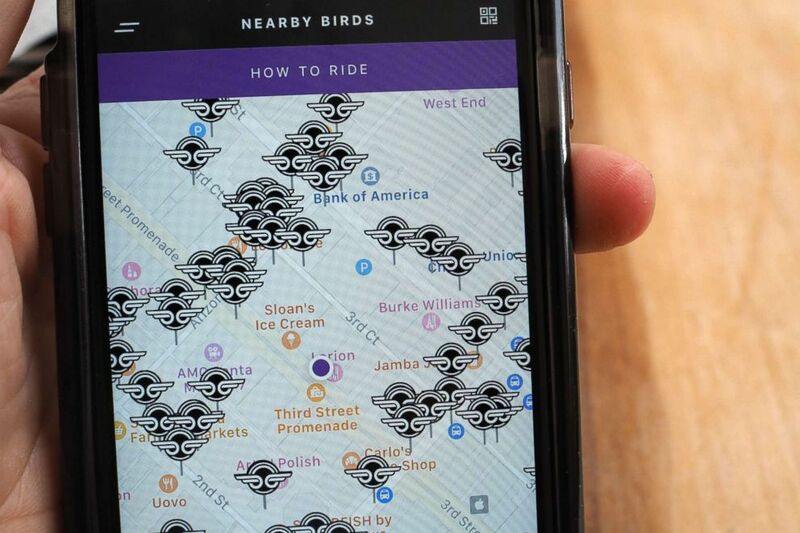 (Robyn Beck/AFP/Getty Images, FILE) The Bird Ride scooter app shows the location of available electric scooters in Santa Monica, Calif., July 13, 2018. “Drinking while operating a vehicle, a bike — or a scooter — is not only illegal but can lead to serious injury or worse,” Los Angeles City Attorney Mike Feuer said in a statement to ABC News. Nicholas Kauffroath pled no contest to one count of operating a motorized scooter while under the influence and one count of hit-and-run, according to city officials. He was placed on 36 months of probation, ordered to pay a $550 fine, and required to complete a three-month DUI alcohol program. Kauffroath was also ordered to pay restitution to the victim and instructed not to operate a motorized scooter with any alcohol in his system.